At the bottom of the picturesque Keisie Valley lies the Bon Accord Farm, with its stately Victorian homestead dating back to 1909. This beautiful fruit farm, located just 5 km from Montagu, offers a lovely setting for a peaceful breakaway. Bon Accord is the ideal base to enjoy what the region has to offer. Guests can visit several great restaurants, or enjoy the well-known dried fruit and nuts. Enjoy some local wines, including the famous and sought-after Muskadel. Activities in the surrounding area include mountain biking, rock climbing, hiking, and scenic drives. A visit to the famous hot springs always soothes the body and the soul. Or you can simply relax at one of Bon Accord's cottages. The three cottages are situated against a mountain, and are fully equipped with everything you may need for a restful visit. The first and second cottage each has two en-suite bedrooms. The third cottage has one en-suite bedroom. Each cottage has DStv, open fireplaces, air-conditioning in the living area, and a covered braai area outside under the veranda. From the private covered verandas you can enjoy spectacular views over vineyards and orchards towards the Langeberg Mountain, and down the Baden Valley towards Montagu. 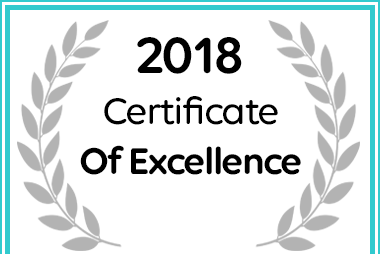 Bon Accord Farm Cottages received a Certificate of Excellence for 2018.